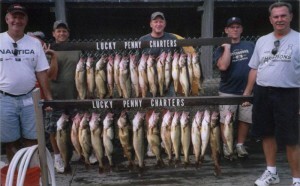 The world famous western basin of Lake Erie also known as “The Walleye Capital of the World” attracts hundreds of thousands of anglers every year in search of trophy walleye. This type of fishing is exciting for those who like to make the cast and set the hook when they feel the bite. We use jigs and small crawler harnesses for this type of fishing. Although the fish are usually in the 2 to 4 lb range, many fish over 8 lbs are boated each year during our drifting season. 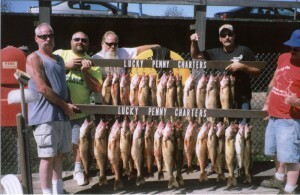 Trolling for Walleye in Lake Erie’s eastern basin really heats up in late June and continues thru September. 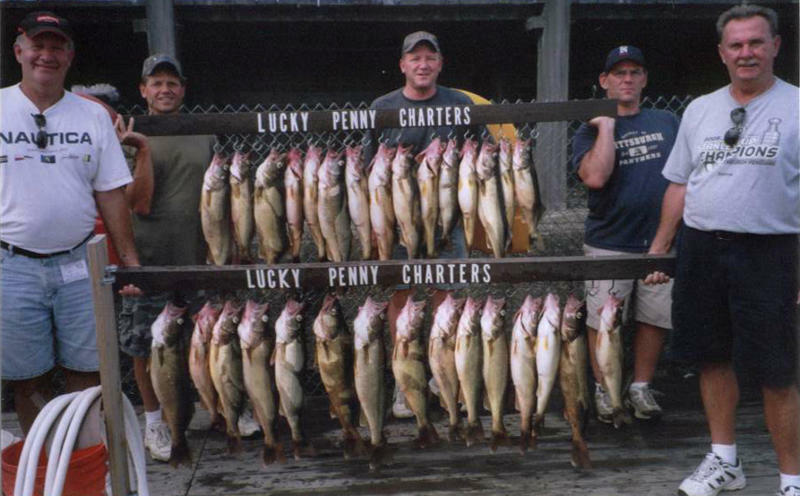 We use planer boards, dipsey divers and down riggers to target the walleye in these deeper waters of Lake Erie. Trolling for steelhead trout can be fun and exciting for anglers who like hard fighting fish. These can often be targeted in the same area were walleye are found.